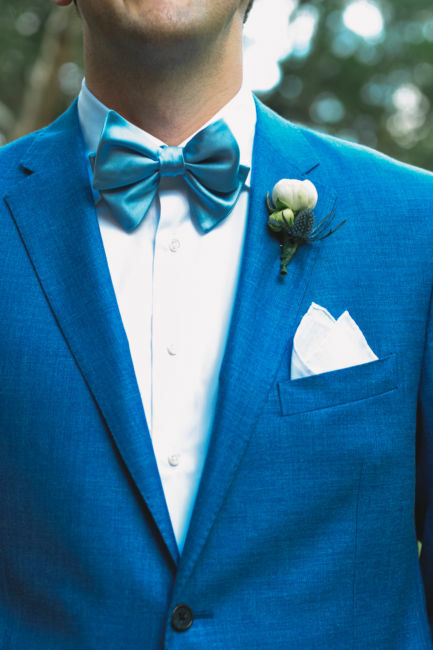 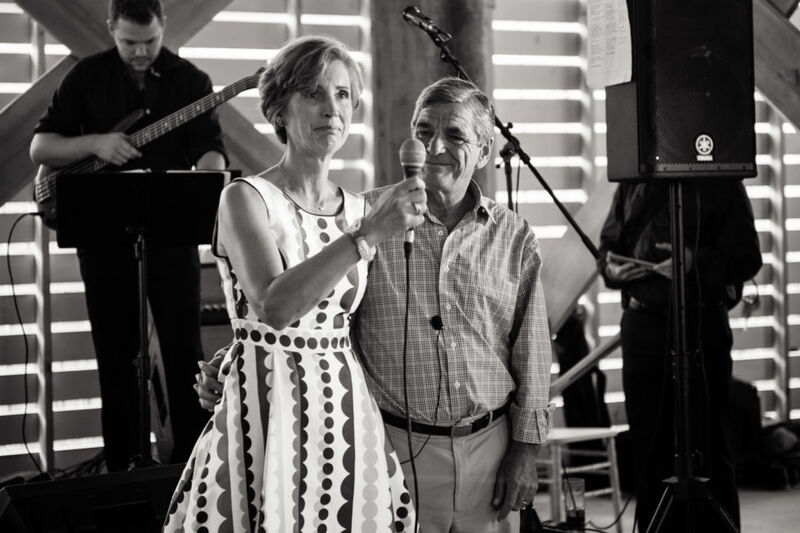 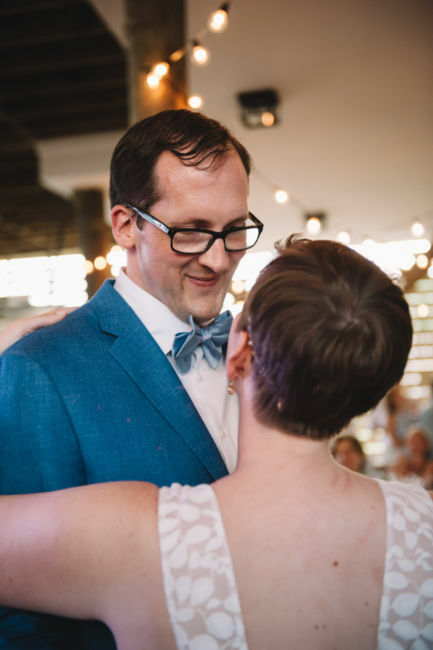 Volker and Wendell first met at a work Christmas party on a freezing cold night in Washington, DC and instantly fell head over heels for each other. 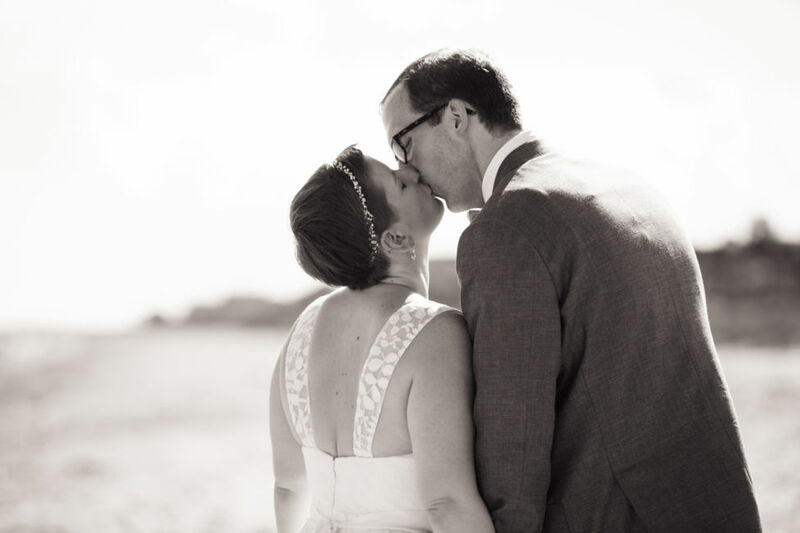 After 4 years of dating, Volker decided to ask his lovely lady to marry him as the reached the foot of the Washington Monument. 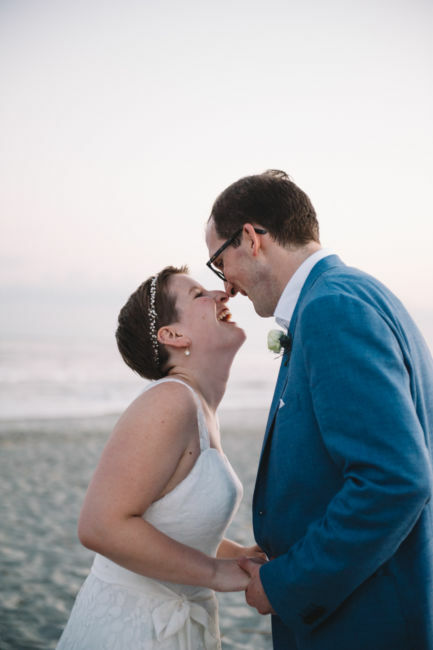 The proposal was simple and perfect, just as Wendell would have chosen. 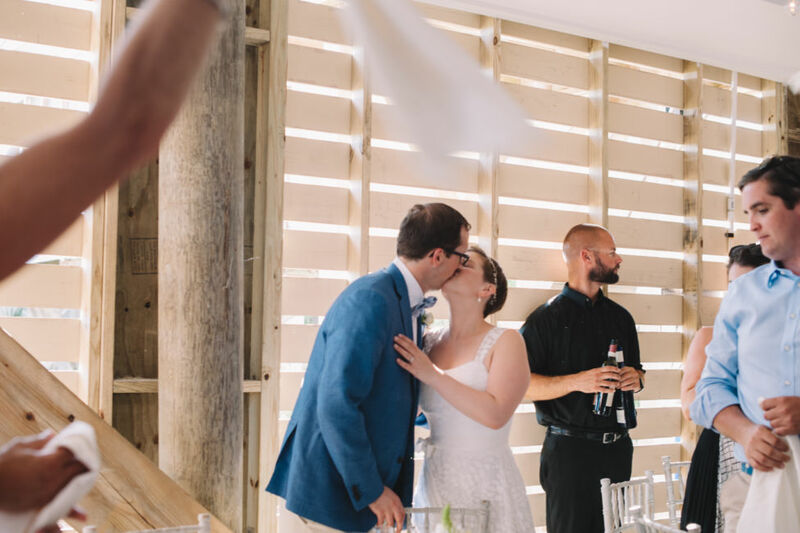 In other exciting news Wendell and Volker decided to make The Netherlands their new permanent home but would be traveling back to the states to tie the knot. 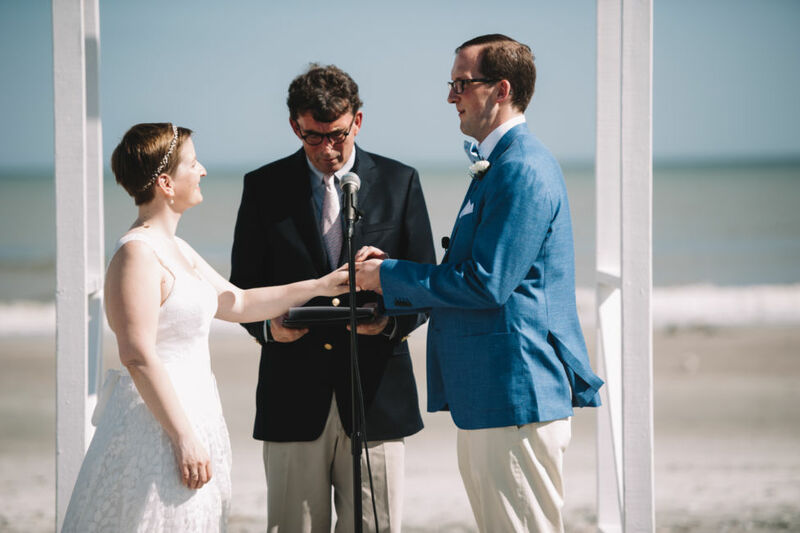 Wendell and Volker both wanted an oceanfront wedding. 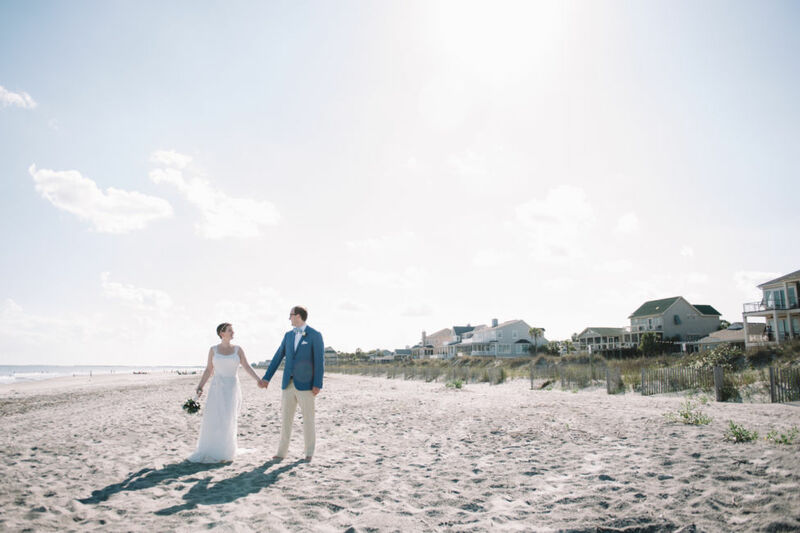 After spending time on Folly Beach it was a natural choice! 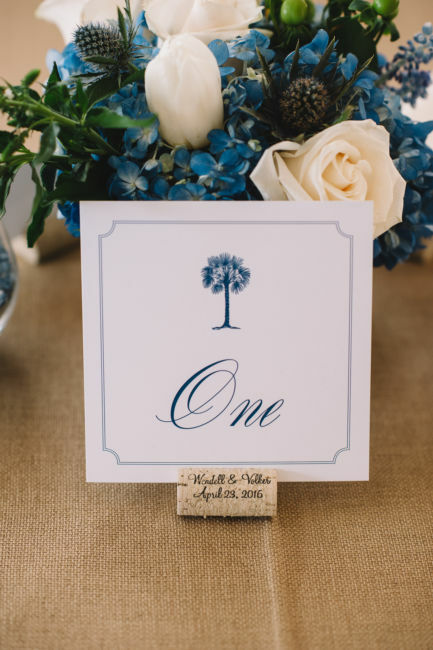 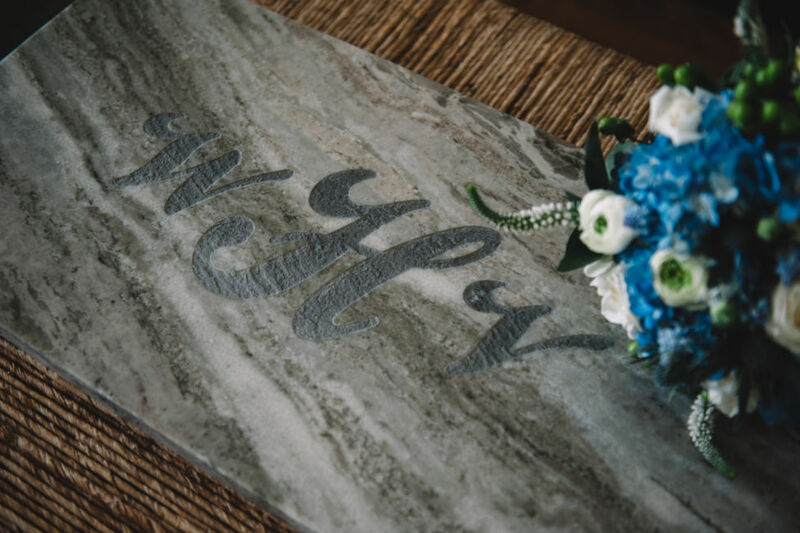 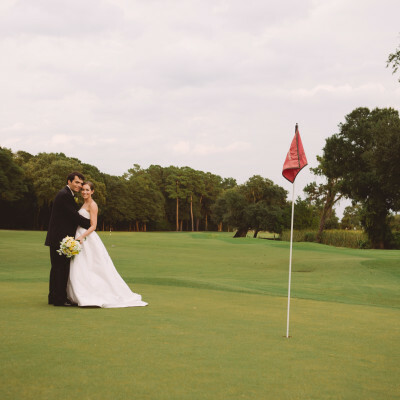 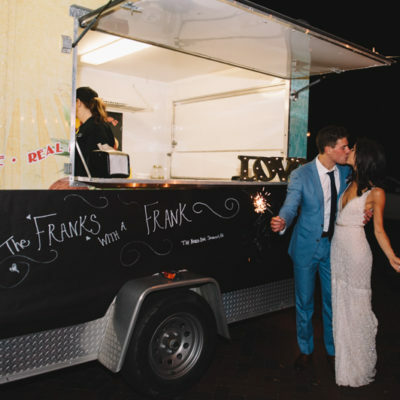 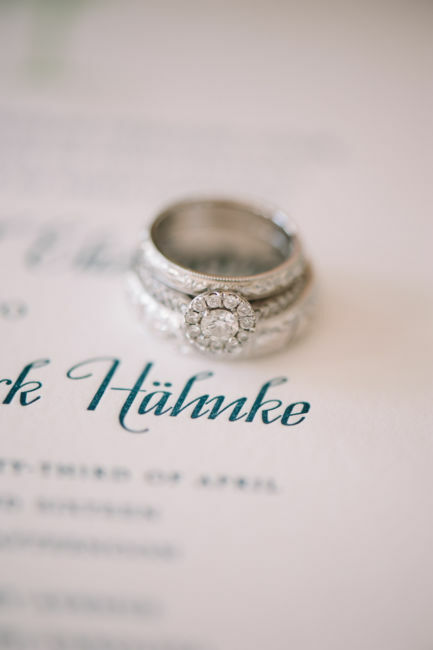 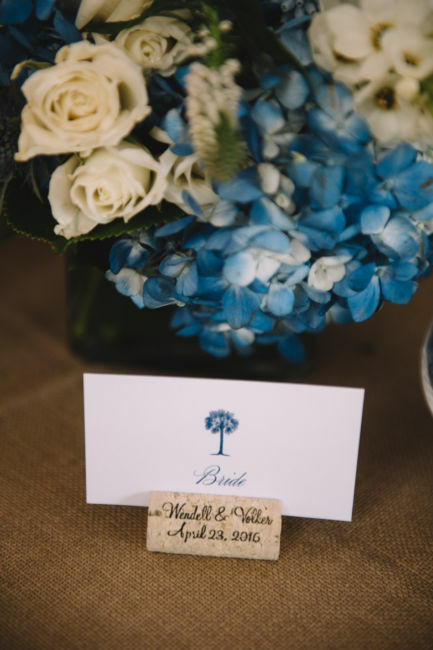 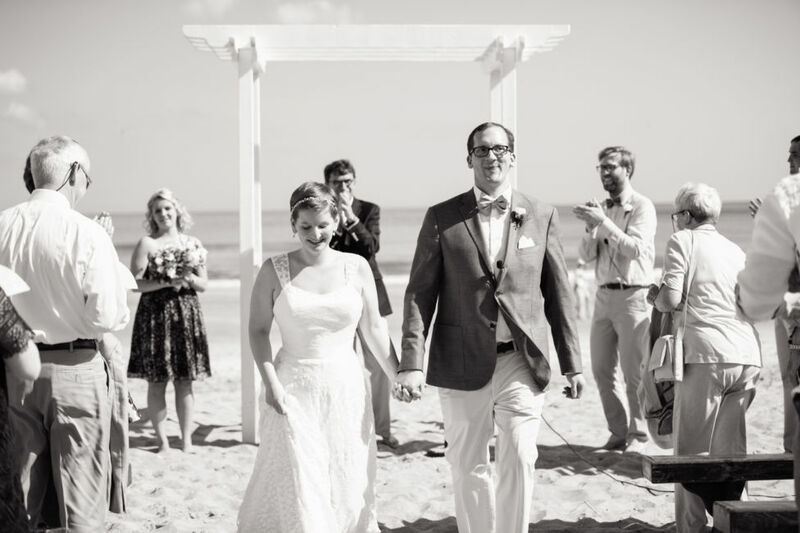 A low-key, intimate ceremony surrounded by their closest family and friends was their plan. 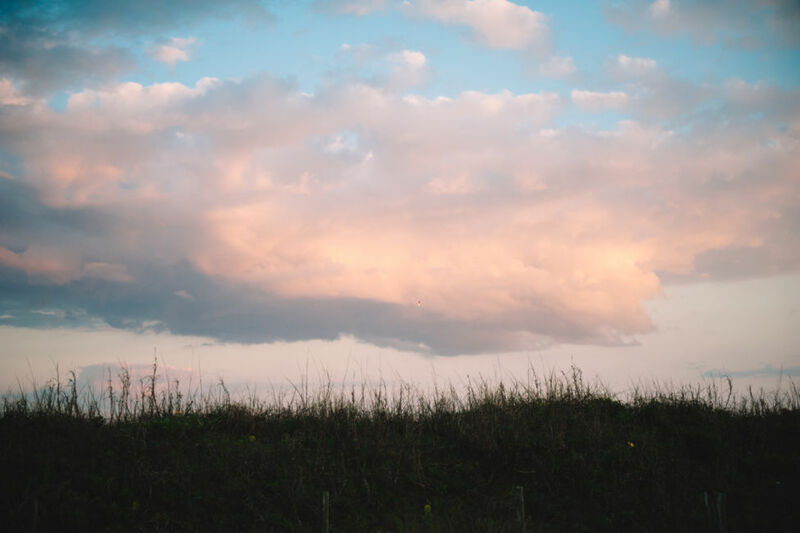 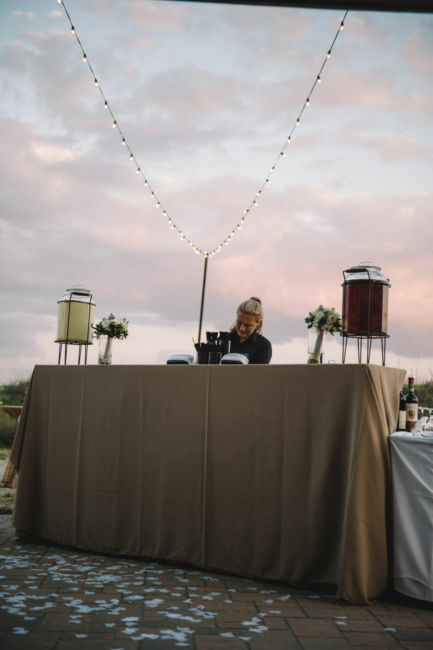 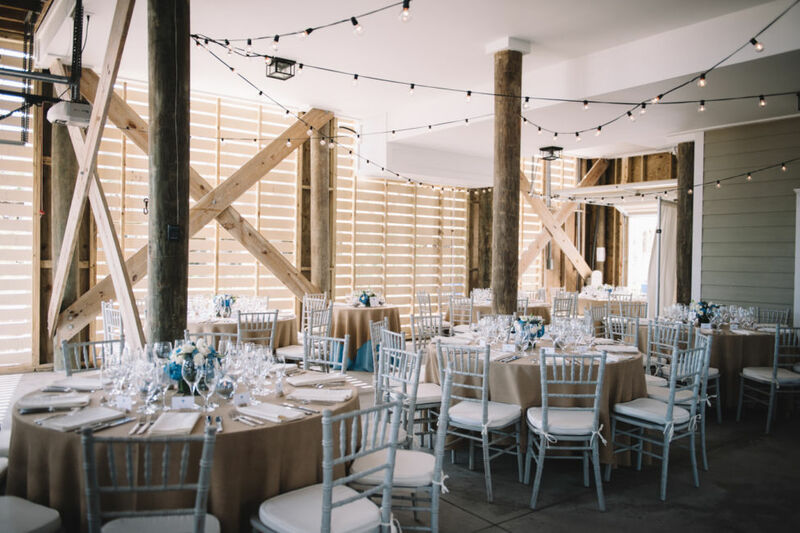 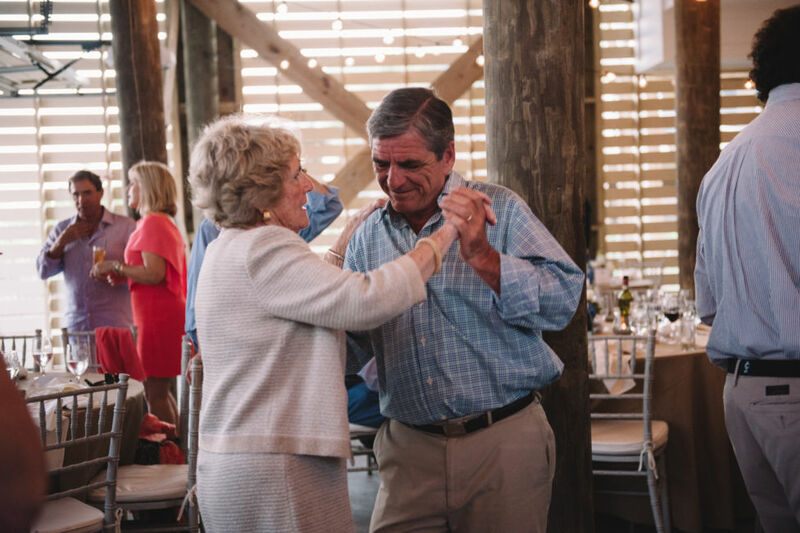 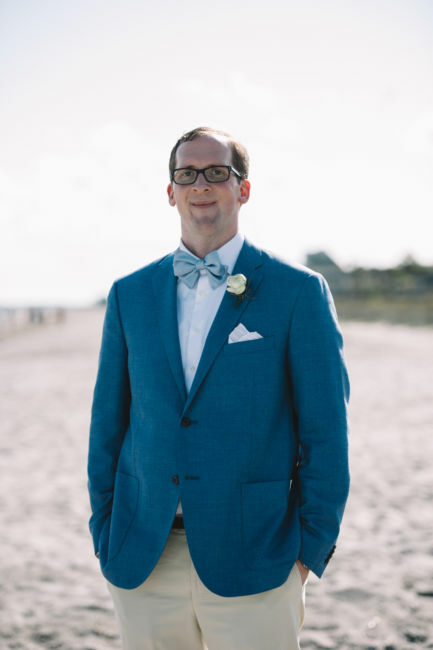 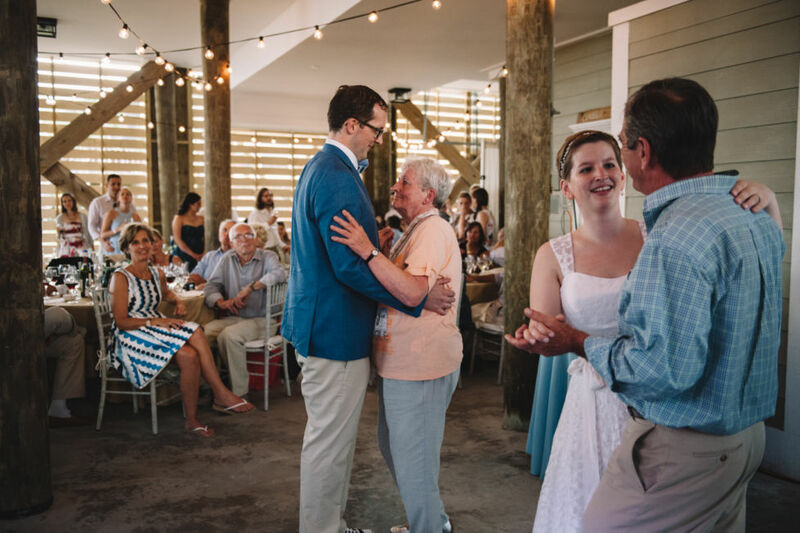 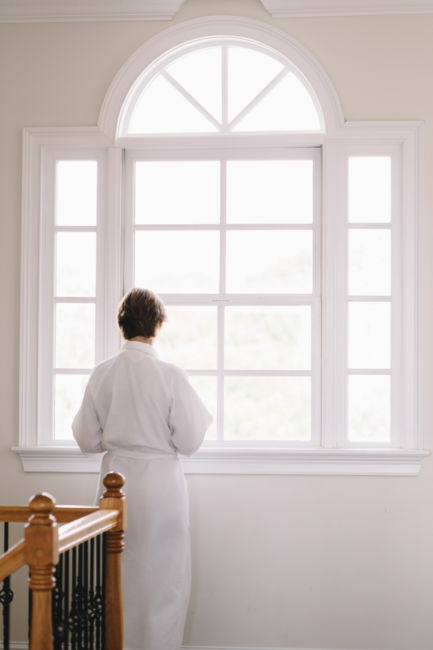 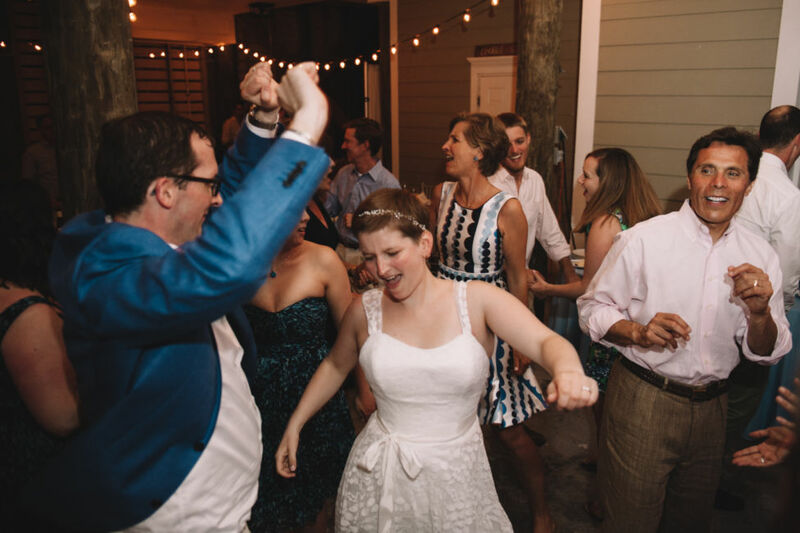 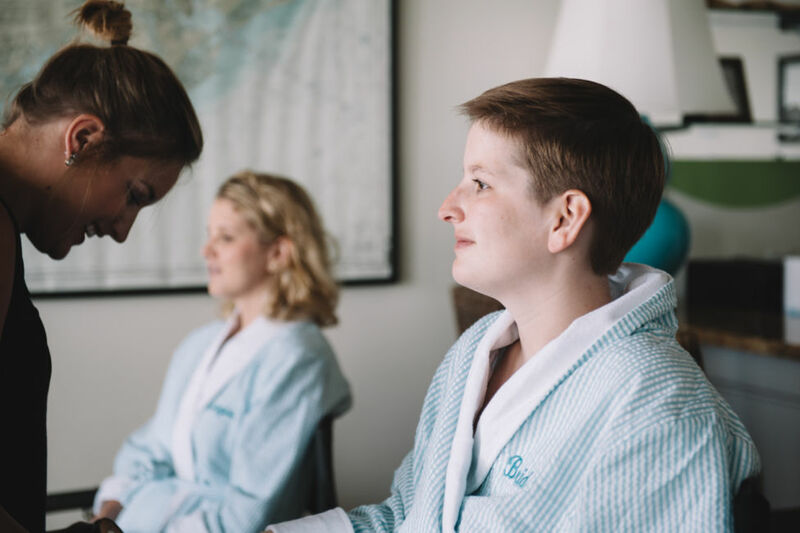 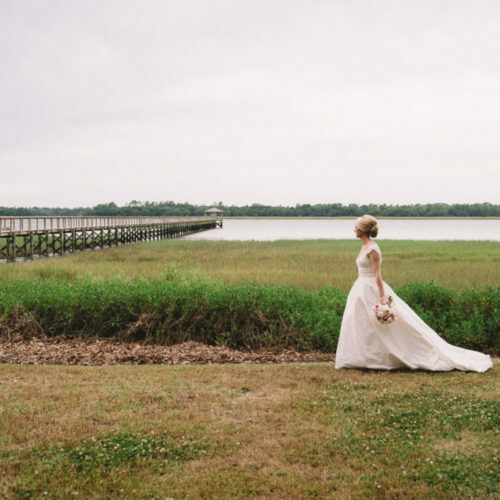 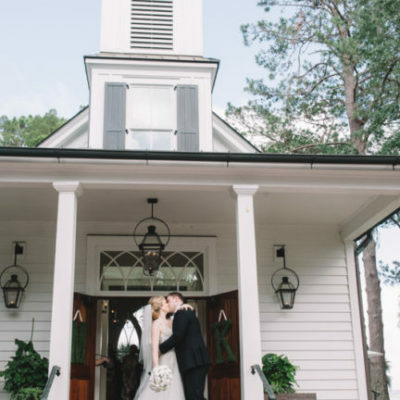 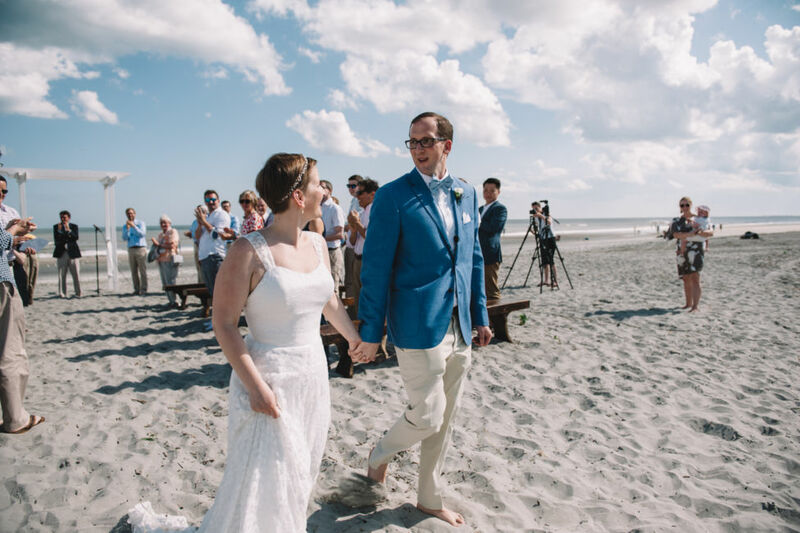 Many traveled from overseas to Charleston and although German was the predominant language spoken by the guests, the lowcountry coastal charm and warm feelings were understood by all. 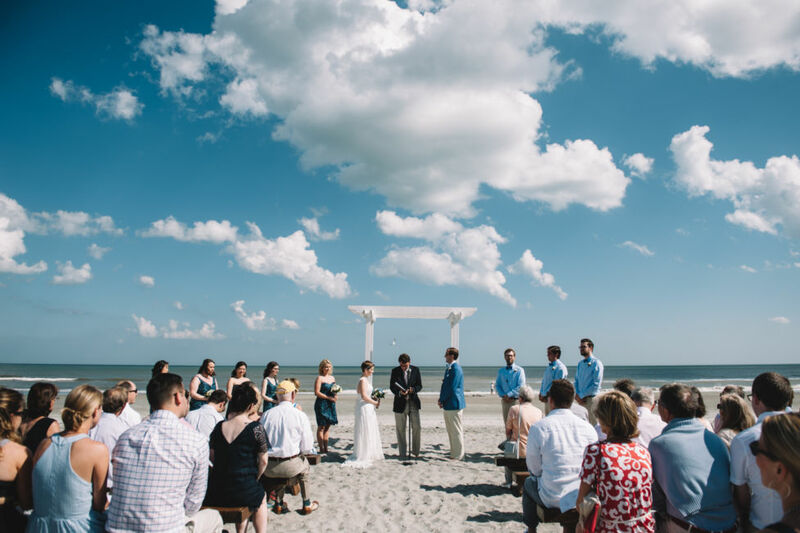 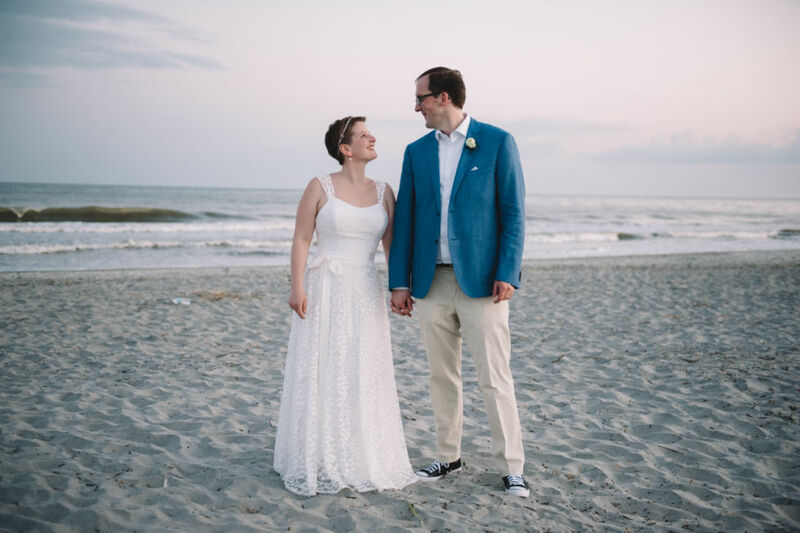 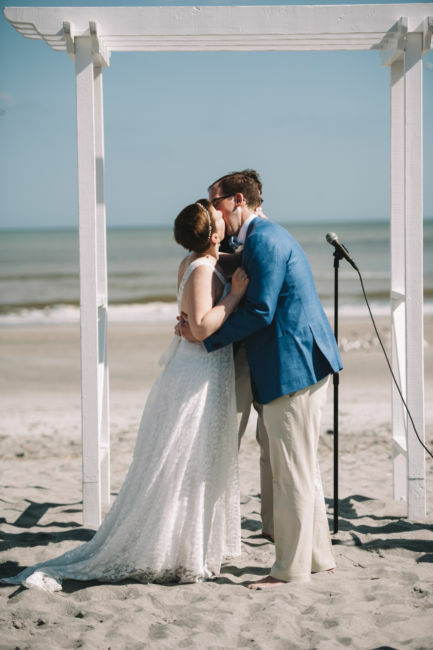 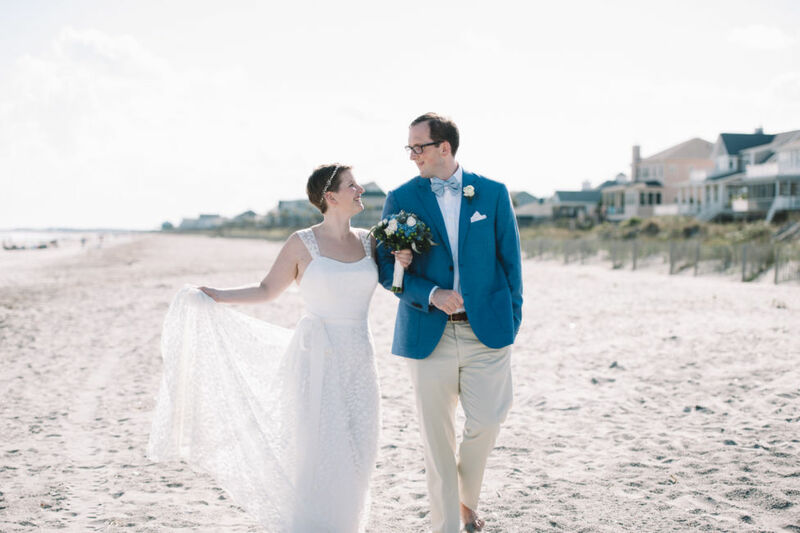 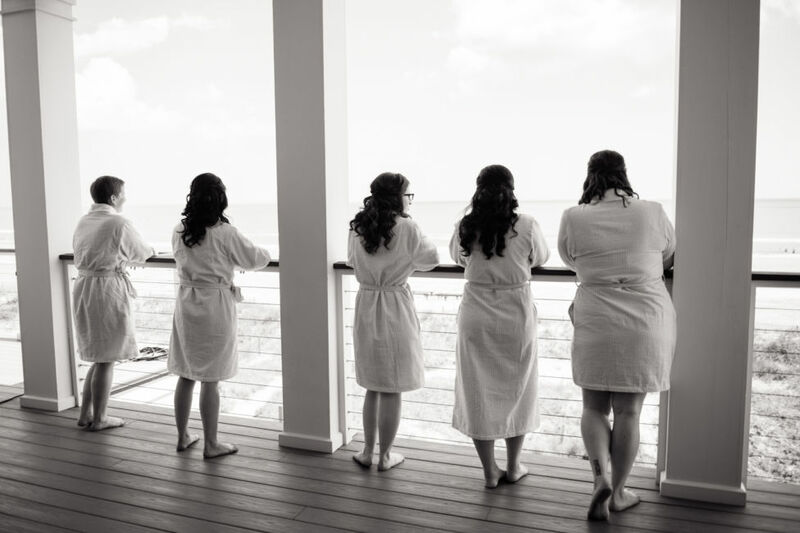 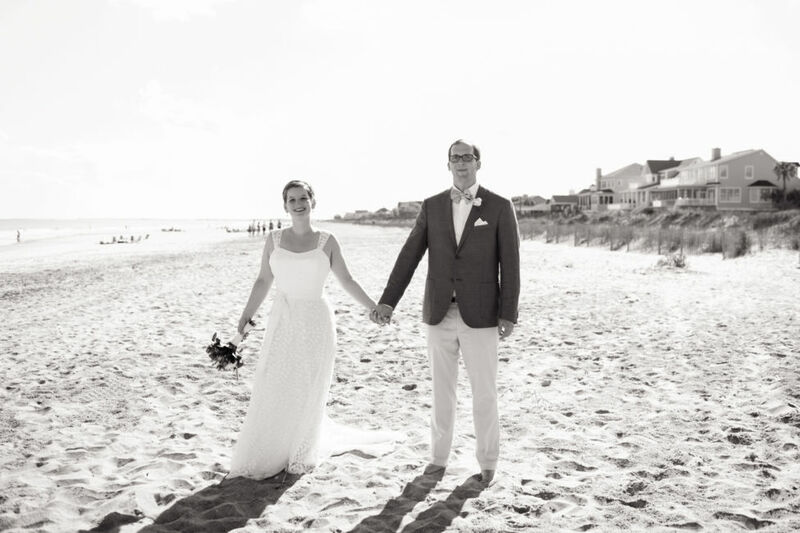 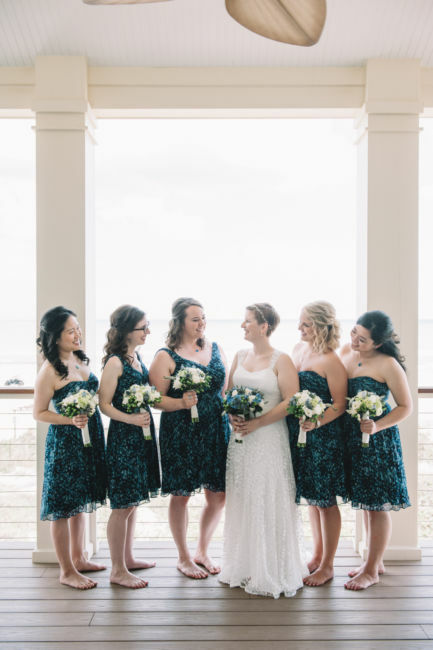 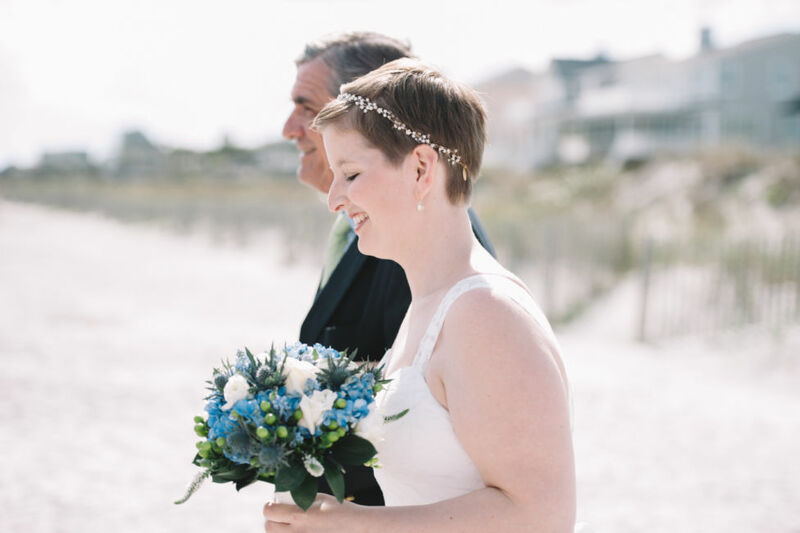 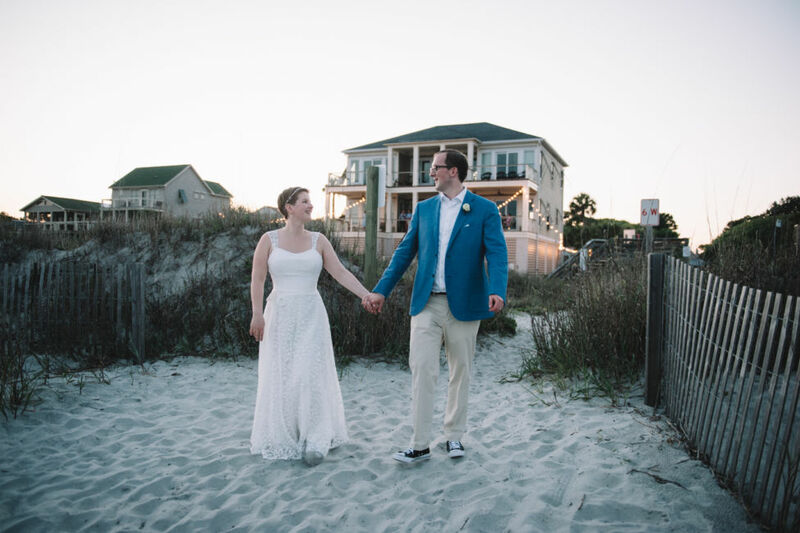 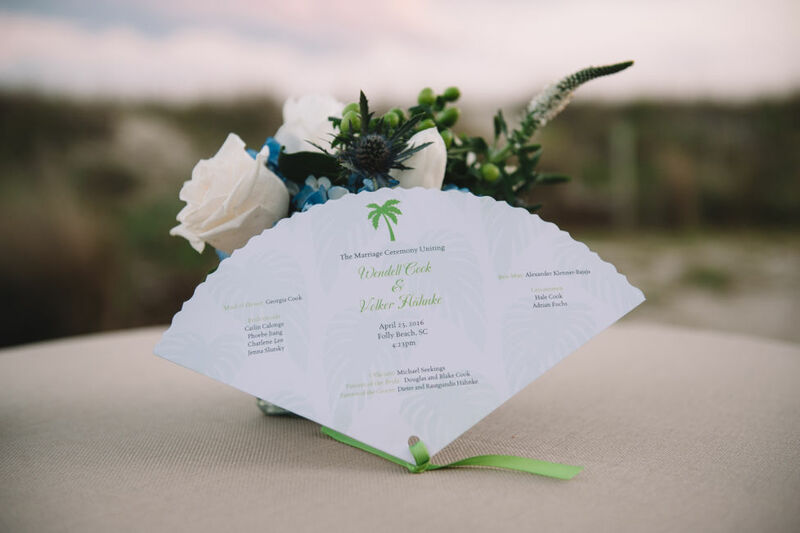 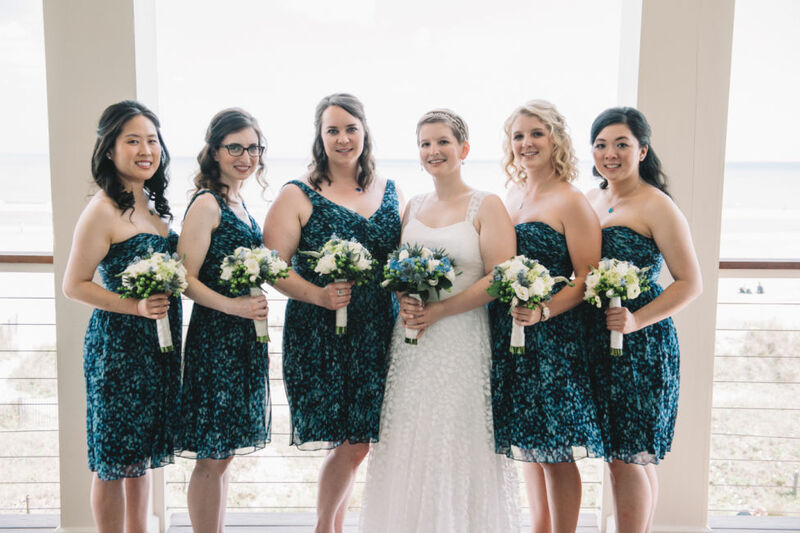 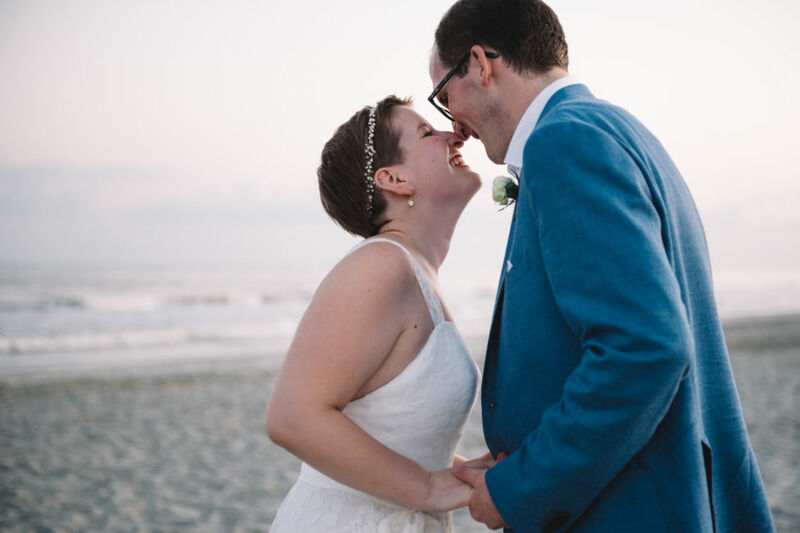 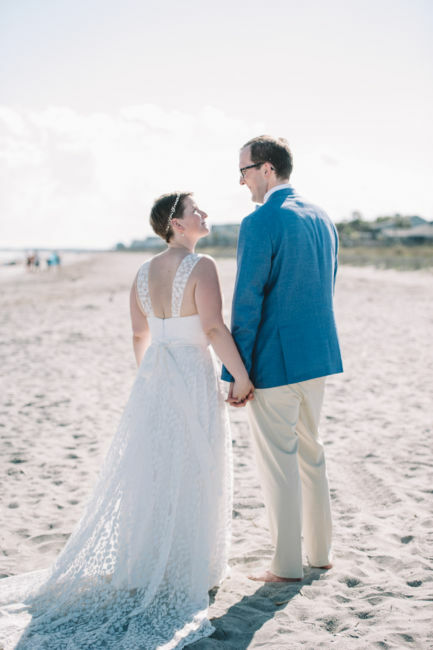 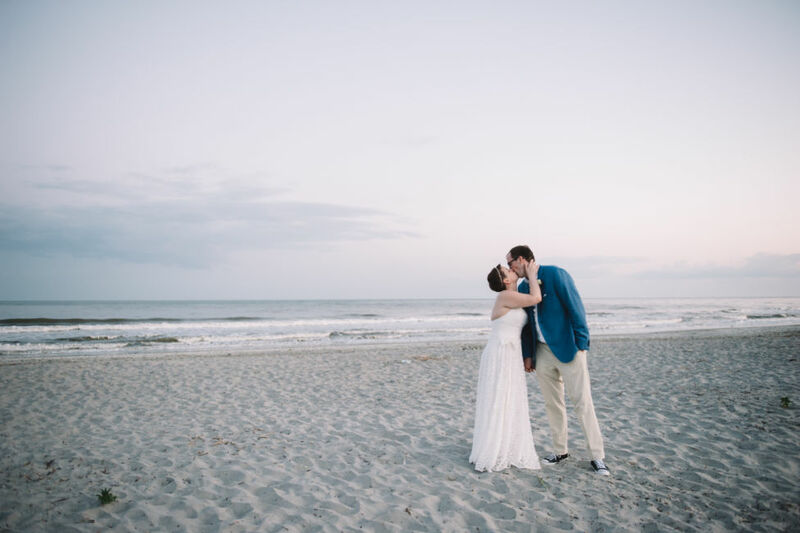 There were plentiful blue skies and sunshine on April 23rd, an ideal day for a beach wedding. 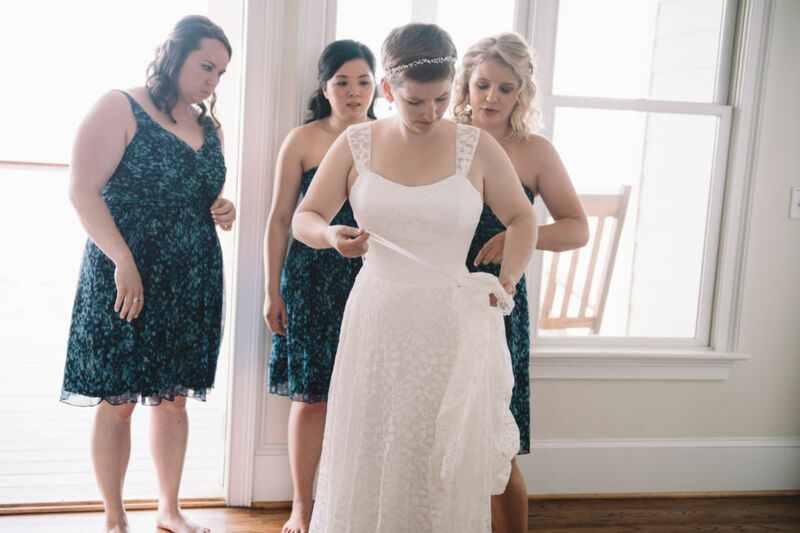 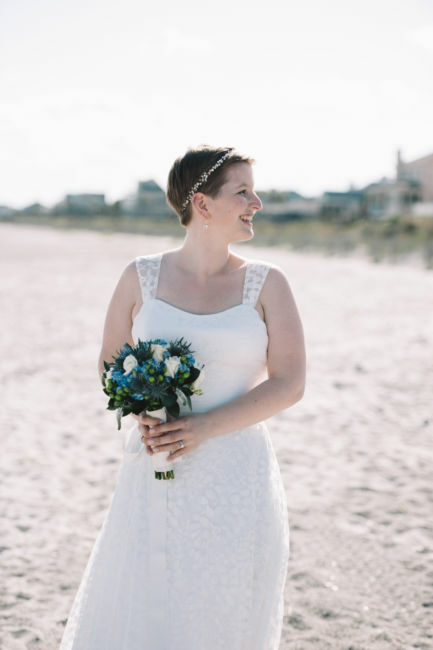 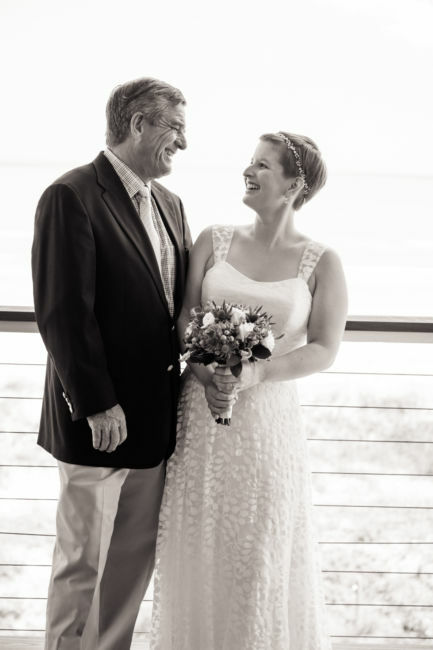 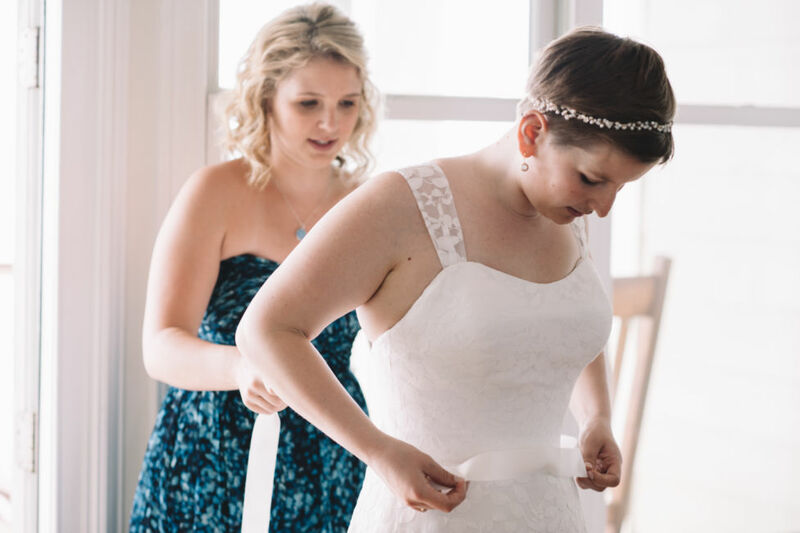 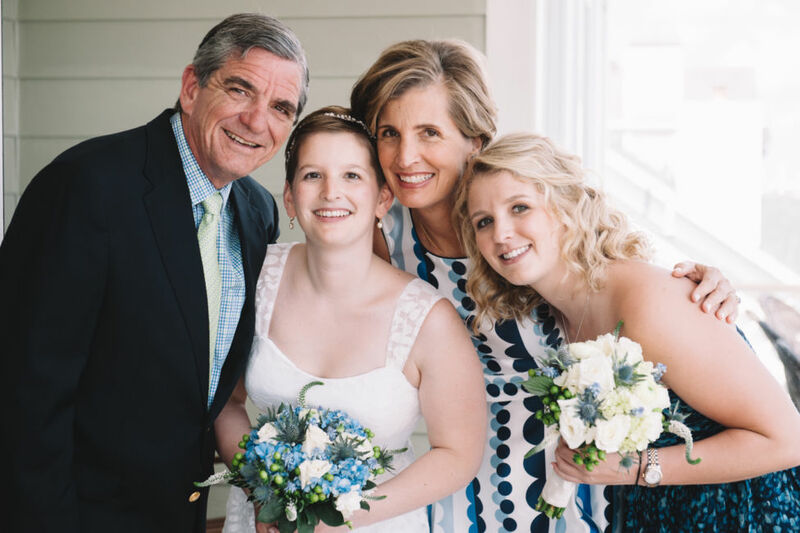 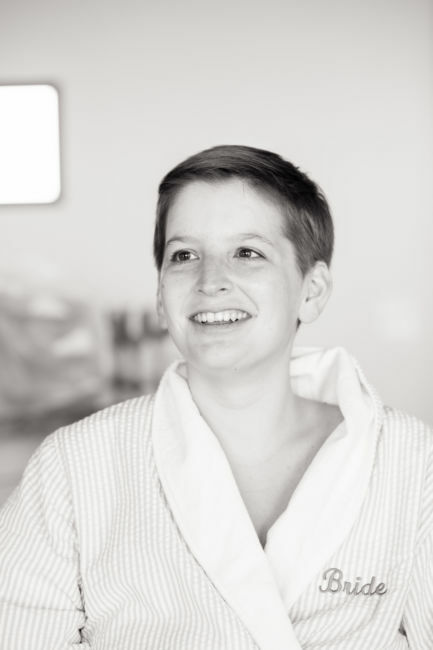 Wendell looked beautiful in her white gown embroidered inside with a family heirloom heart. 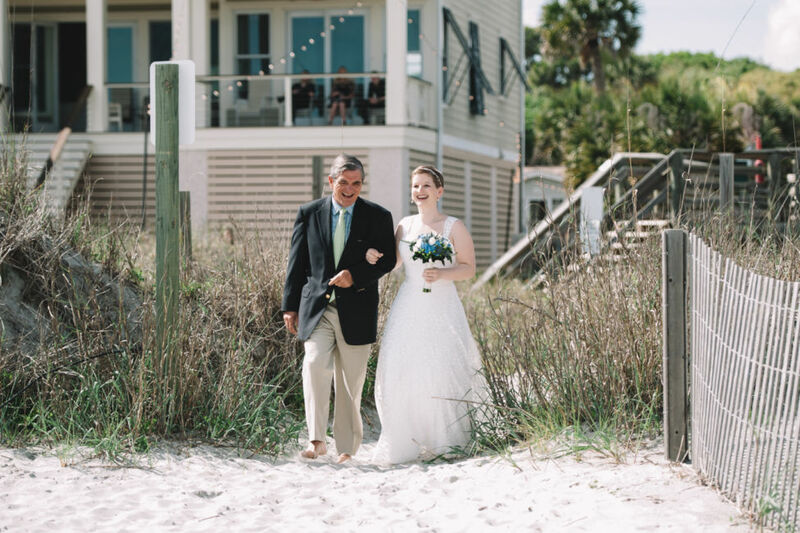 She emerged from the sea oats onto the warm sand with her arm linked inside her father’s. 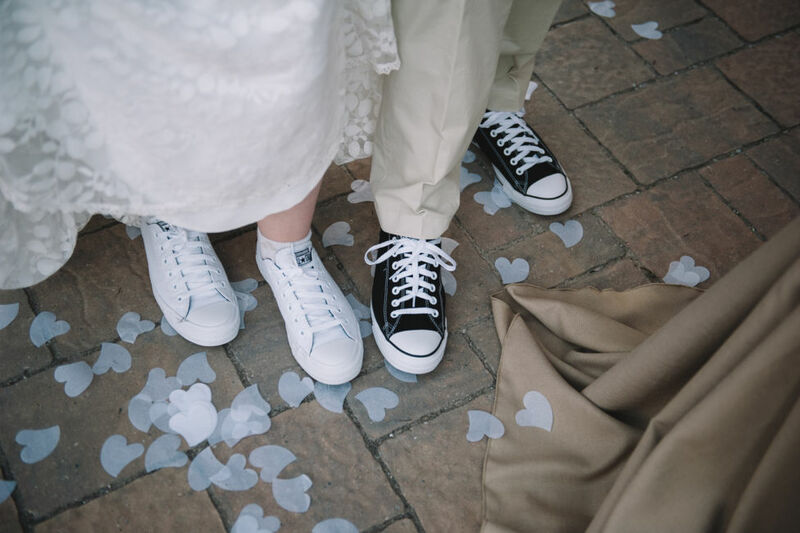 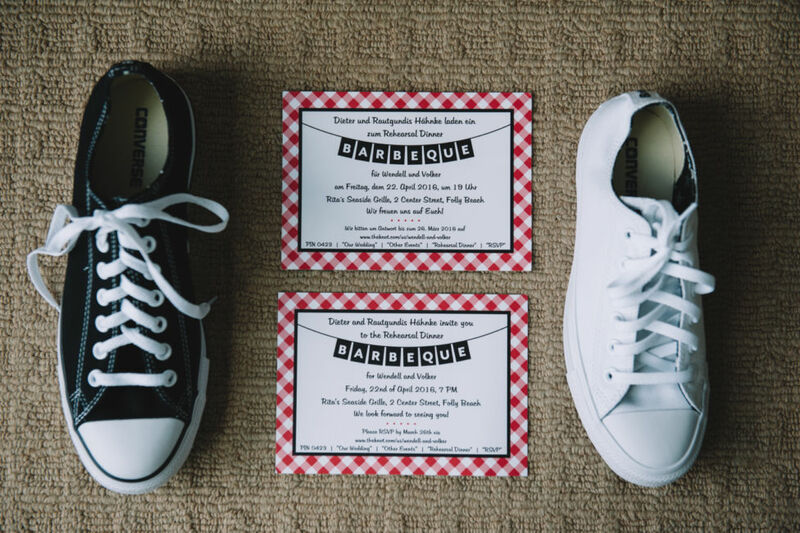 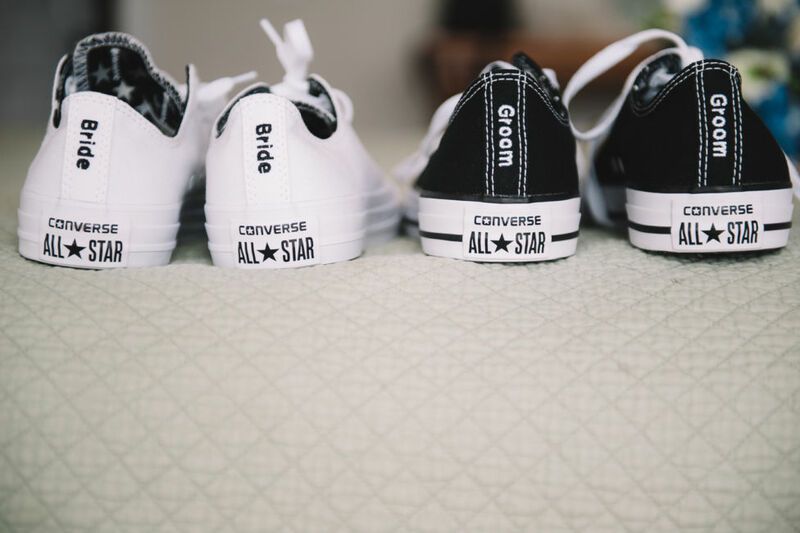 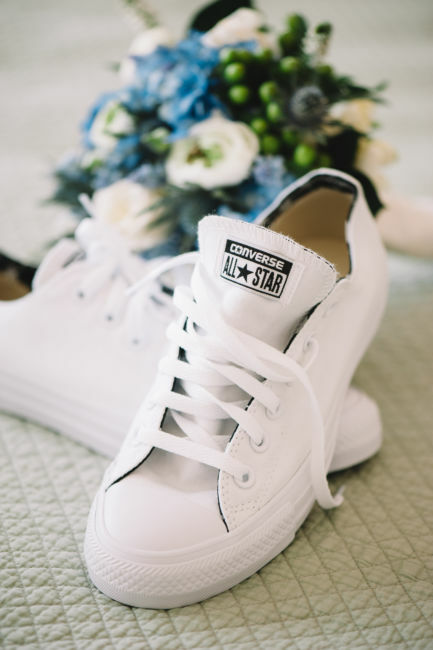 Wendell and Volker wore matching converse all-stars with bride and groom printed on the back. 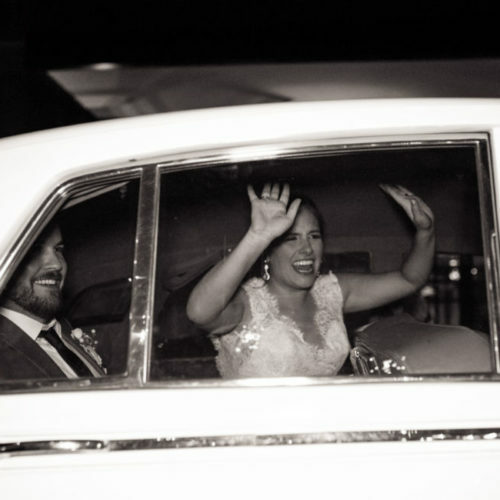 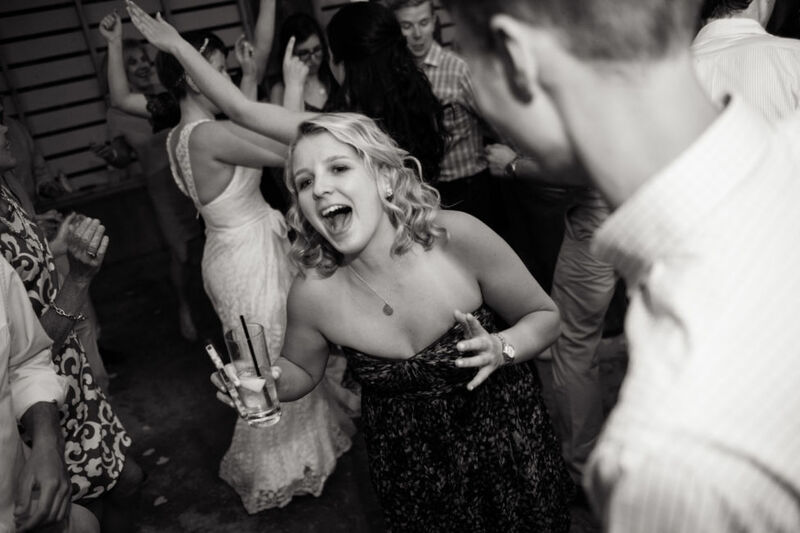 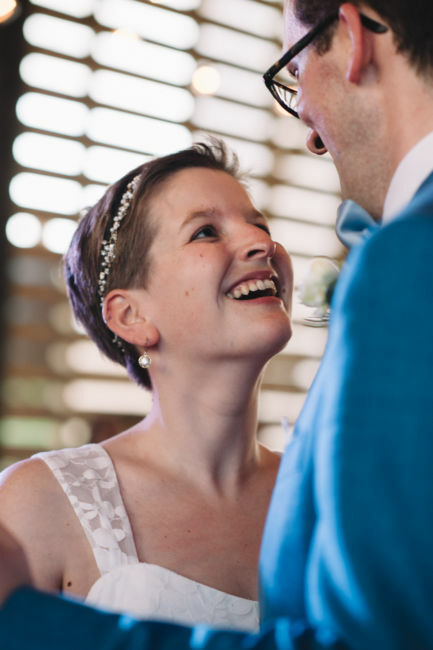 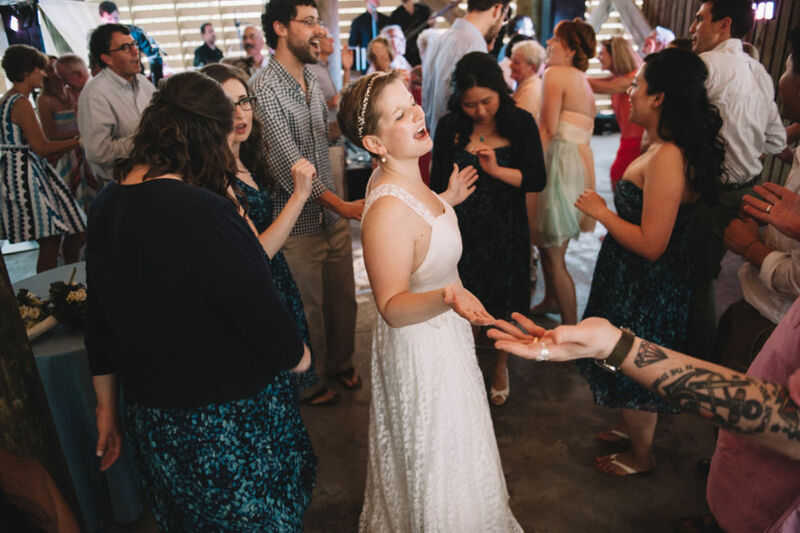 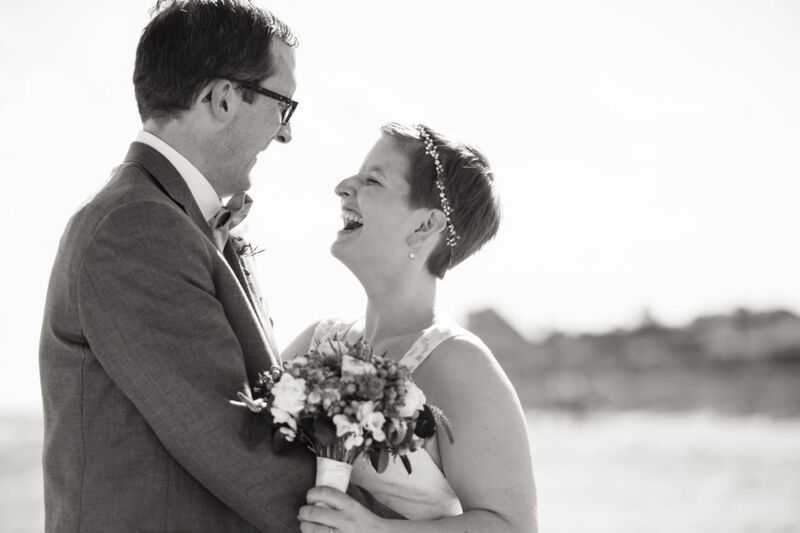 These two were married in a relaxed and joyful celebration. 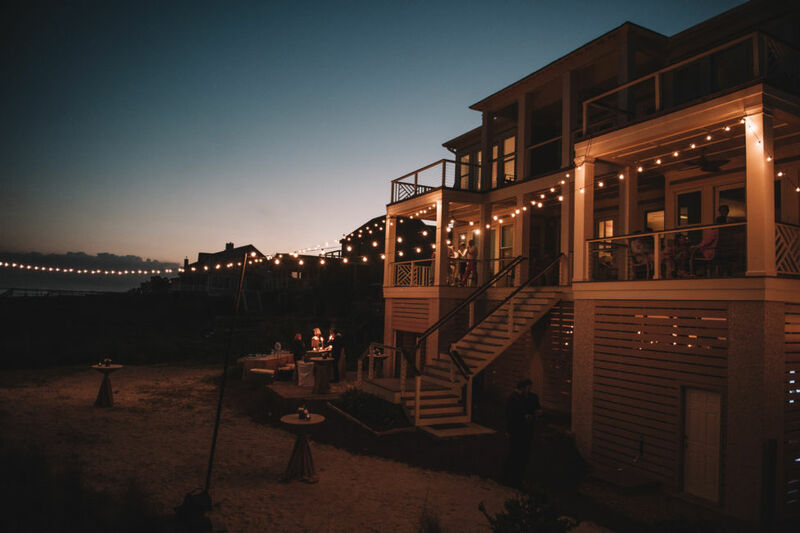 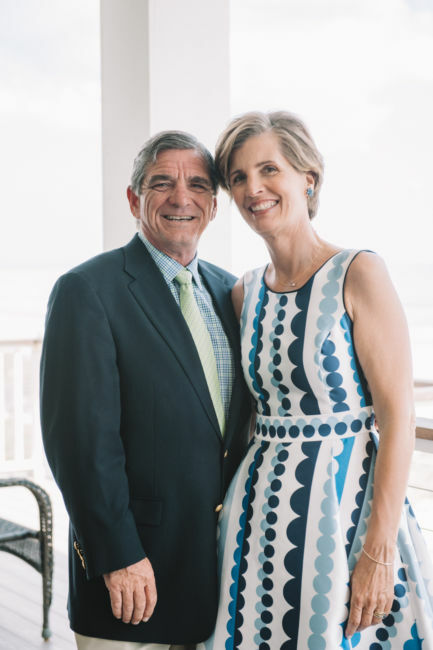 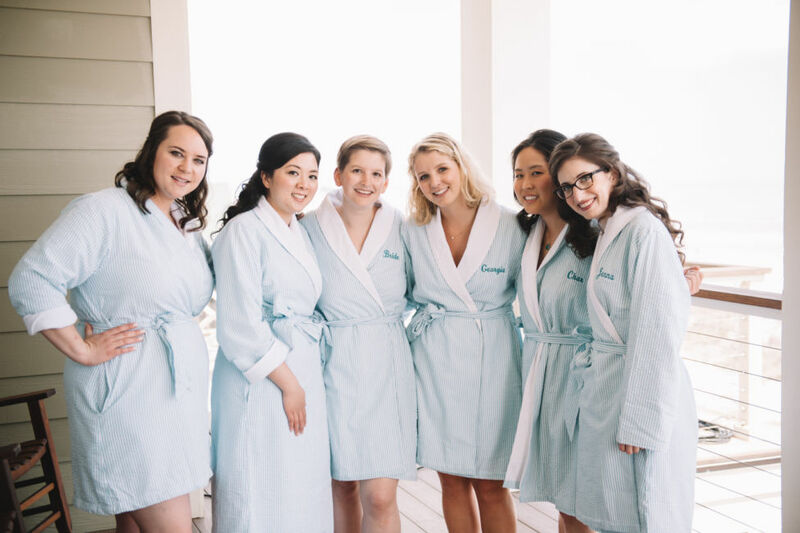 The guests retired to a private home on Folly after the ceremony to enjoy the rest of the evening with dinner and celebration. 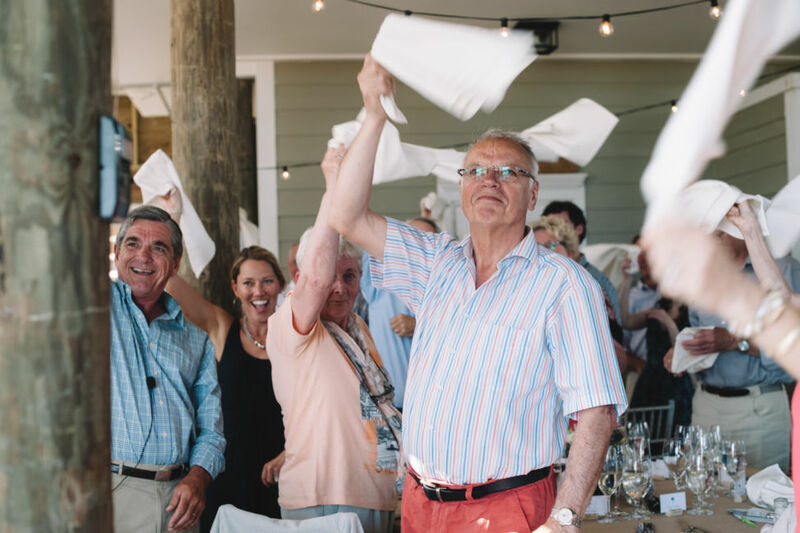 At dinner as the couple was announced, the guests twirled their napkins in a very visible sign of happiness and celebration. 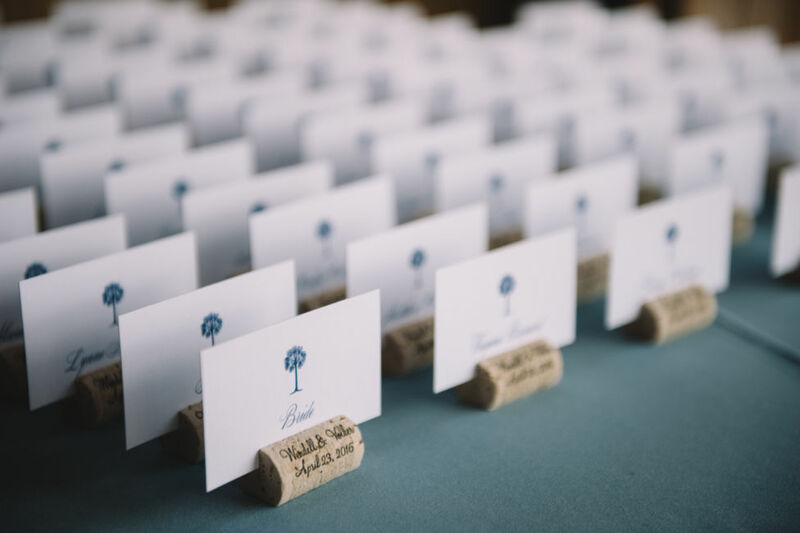 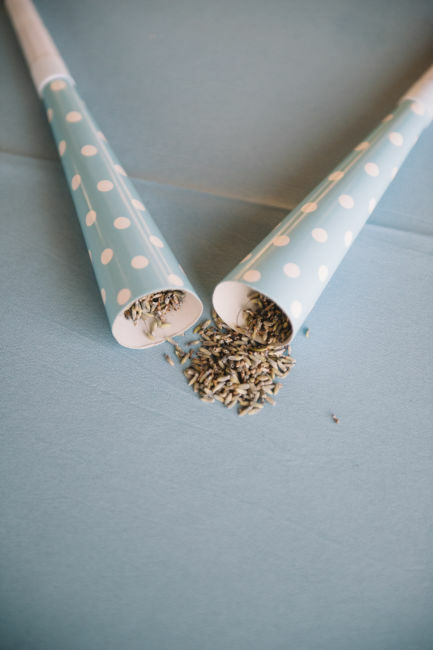 Each guest had found his/her place by the personalized corks with placecards inserted. 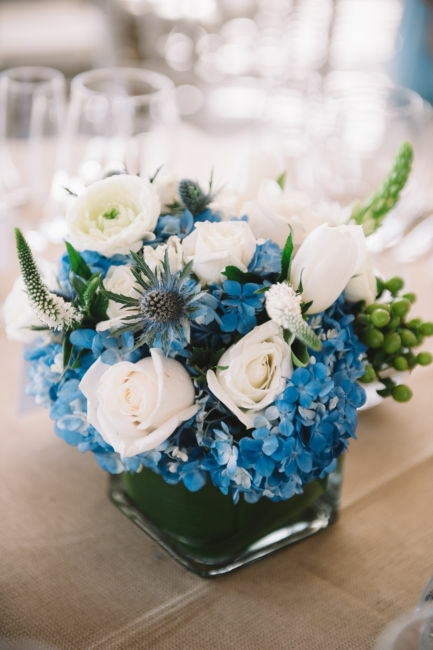 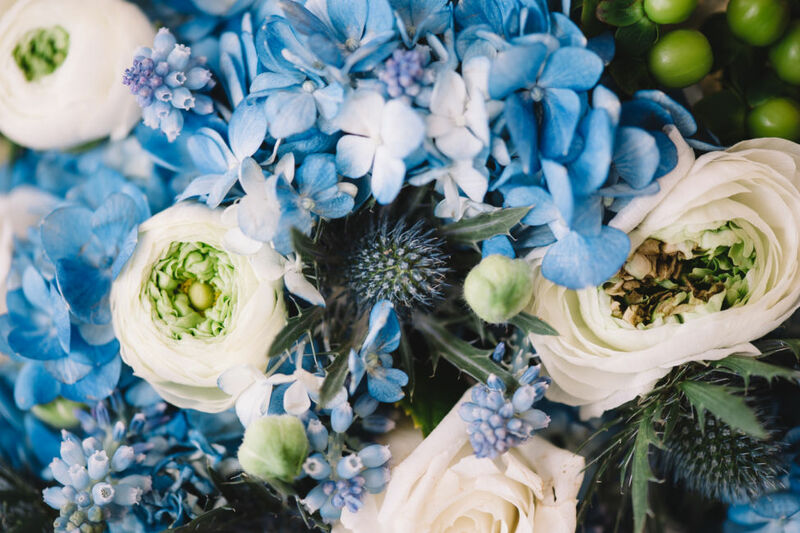 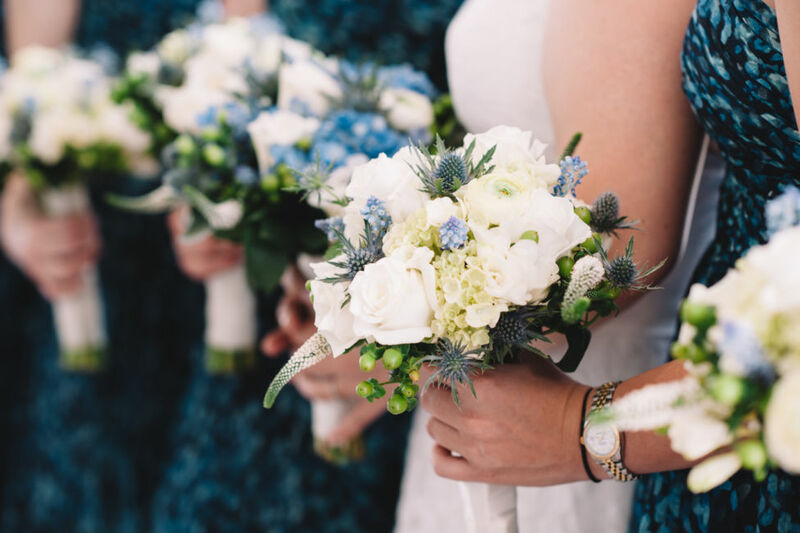 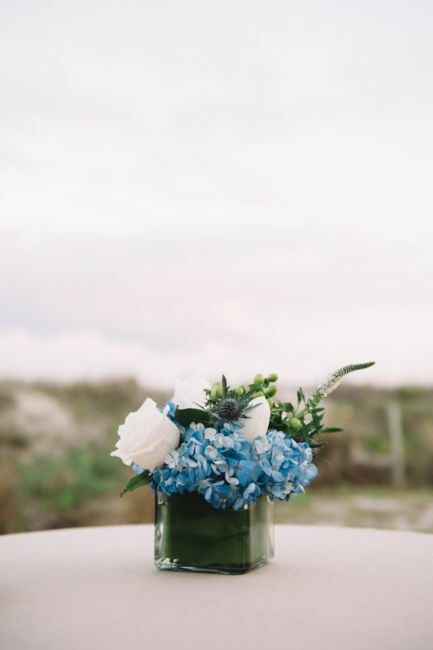 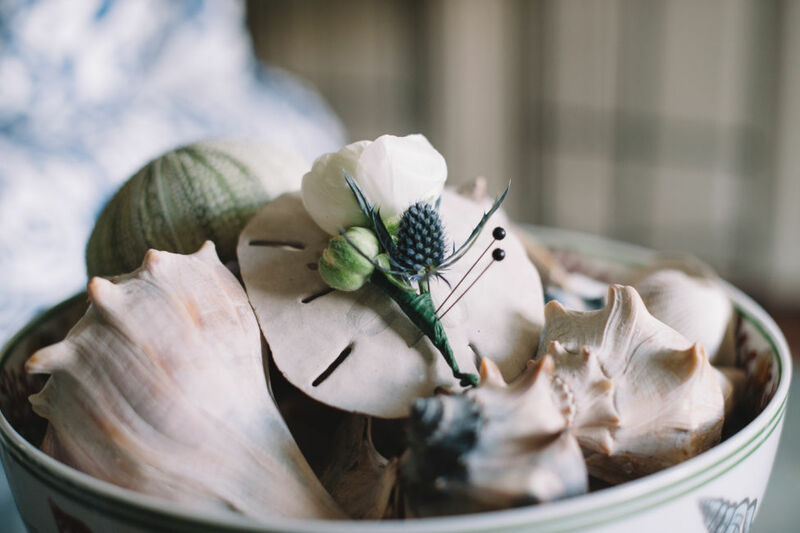 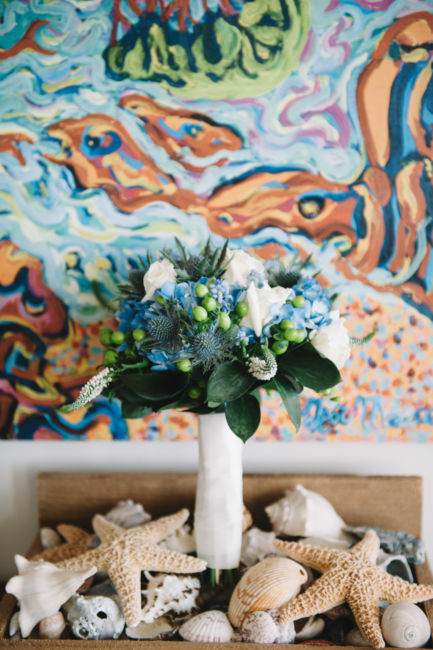 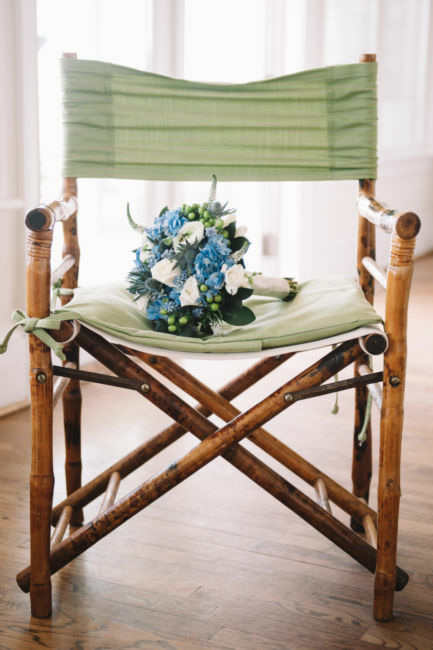 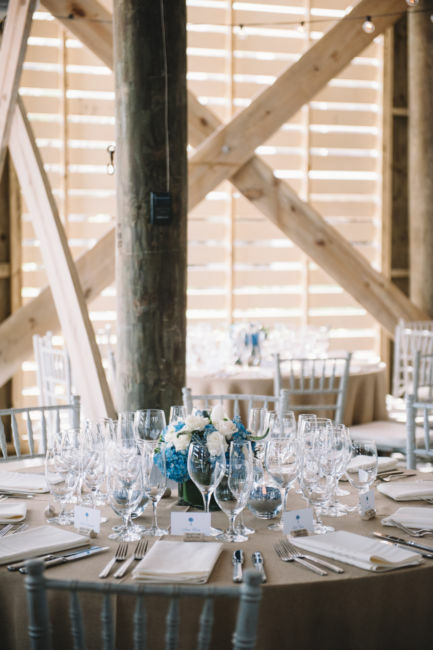 Blue, green and white flower arrangements graced the intimate dining area where all enjoyed a delicious wedding feast. 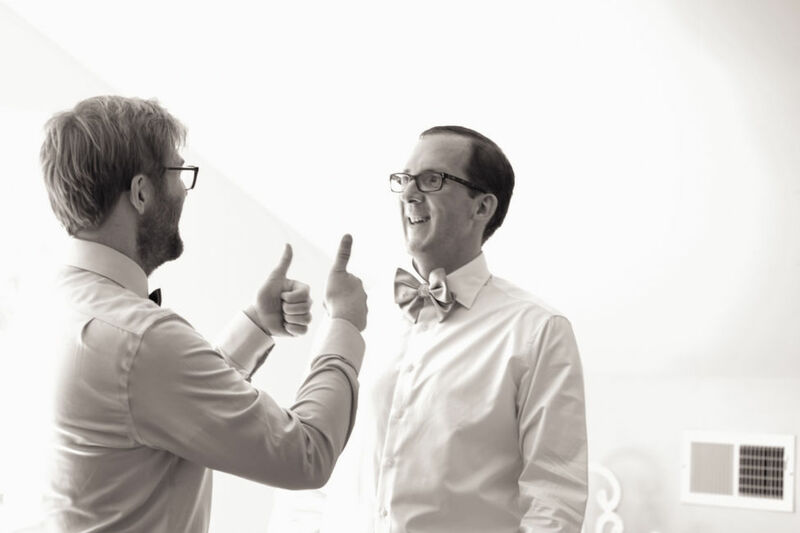 Cheers to Wendell and Volker!! 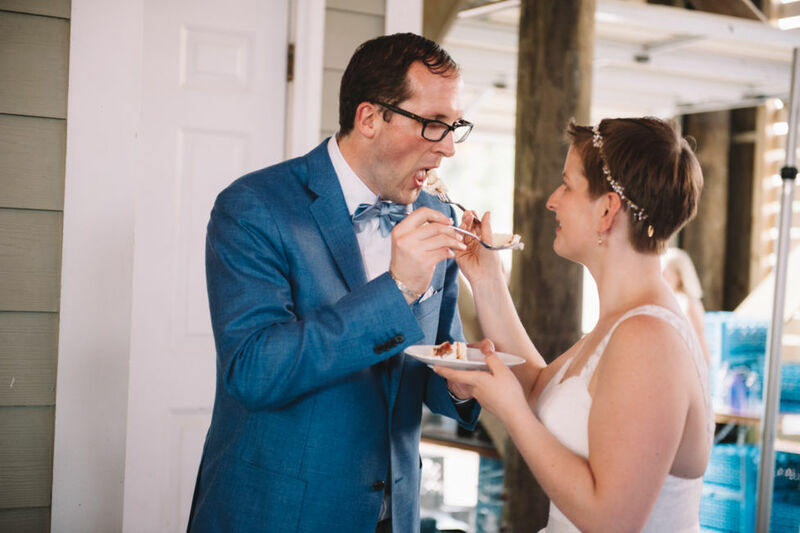 Y’all come back to celebrate anniversaries!! 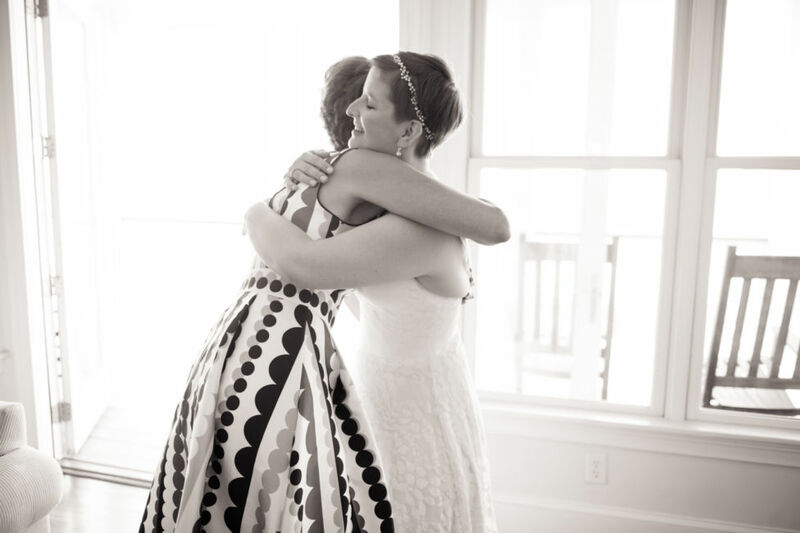 Thank you Amy Kay for being my fabulous second shooter!